Chris travels from Dallas, Texas by either DFW airport or Dallas Love Field. Chris Bianez is a keynote speaker, seminar leader, corporate consultant, and law enforcement officer. He is a high-energy, entertaining and captivating presenter. His programs are content-rich, with a healthy dose of humor to keep the audience laughing while they learn. Participants walk away with invaluable tips and strategies that will benefit them immediately and for the rest of their lives. He has spent about equal amount of his working years in the private and public sector. Chris Bianez doesn't just talk motivation and safety, he lives it. 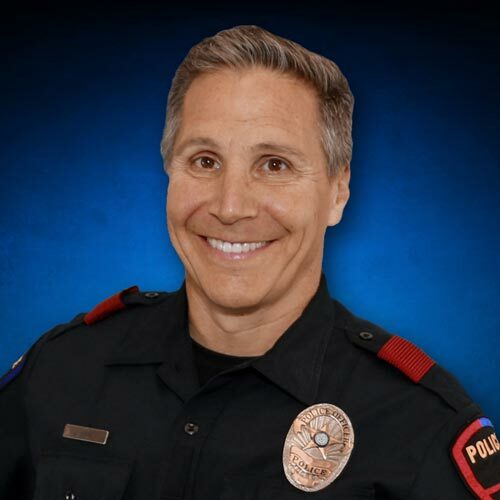 For the past 20 years, he has been a police officer with the Plano Police Department. Chris serves in the Crime Prevention Unit where his full-time assignment is safety education; helping organizations protect their people and property. Chris has a passion for helping individuals not be victims of crime and to press forward through challenges and adversity to accomplish their professional and personal goals. His law enforcement experience, training and research, uniquely position him to share what works, what doesn't, and why. If you want a professional who delights audiences of all ages, and who leaves a lasting positive impression, then call on Chris Bianez for your next event.